By their very nature, credit unions sit at the heart of today’s sharing economy – and they are growing and prospering accordingly. 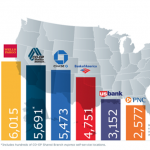 Case in point: The CO-OP Shared Branch network recently reached another new milestone, surpassing mega-bank Chase to become the country’s second largest branch network among commercial financial institutions, according to the FDIC. 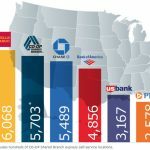 While Wells Fargo’s branch network remains the nation’s largest, CO-OP Shared Branch is quickly ascending in the rankings, with more than 400 new branches joining the cooperative’s network in the last year alone. So what is it about shared branching that resonates so well with modern consumers, and how can credit unions further leverage their combined resources in service to members? Researchers at PricewaterhouseCoopers recently estimated the sharing economy at $15 billion globally, a figure that is expected to rise to $335 billion by 2025. According to the firm, 44 percent of U.S. consumers today are familiar with the sharing economy, and 19 percent of adults nationwide have engaged in a sharing economy transaction. Shared branching fits squarely into this paradigm by allowing members of participating credit unions to walk into any branch within the network and access services as if they were in their home branch. 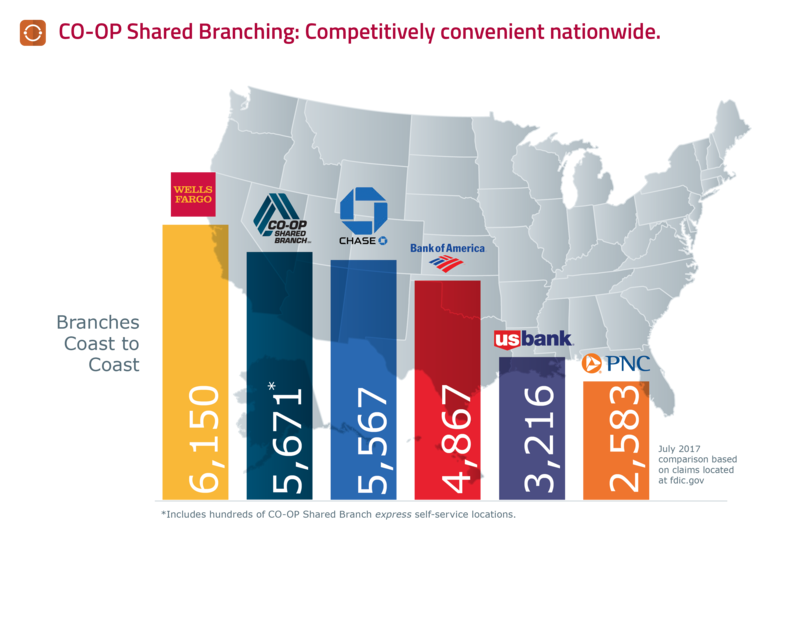 “Shared branching is something banks will never be able to offer because it is based on the collaborative nature of our movement,” said CO-OP President/CEO Todd Clark, adding that around 1,800 of the 6,100 credit unions nationwide participate in shared branching. Shared branching benefits everyone involved, he emphasizes, making banking infinitely more convenient for members while creating new operational efficiencies and revenue streams for credit unions. “What Uber is to passengers looking for a nearby ride, shared branching is to credit union members,” said Clark. 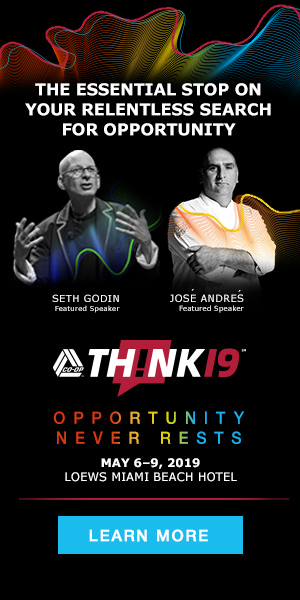 Underlying the CO-OP Shared Branch network is a technological ecosystem built expressly to enable credit unions to expand their offerings with less resources due to their established connection. 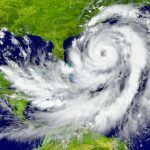 This expansive network is poised to deliver yet another new CO-OP innovation this year: integration with Early Warning Services’ Zelle network. A financial institution-led digital payments network, Zelle promises to strengthen the sharing economy by allowing consumers to make real-time P2P payments to anyone with a U.S. bank or credit union account. Using advanced multi-factored authentication technology, Zelle enables funds to be transferred immediately and securely to an e-mail address or mobile number – keeping routing numbers and other sensitive account data out of a fraudster’s reach. Today Zelle connects thousands of financial institutions nationwide and nearly 76 million account holders, delivering all the ubiquity of ACH – at hyperspeed. Shared branching and digital networks represent just two examples of how the CO-OP community works together to elevate the member experience. CO-OP client credit unions have also joined hands to form the nation’s largest ATM network, CO-OP ATM, which allows members to access nearly 30,000 secure, surcharge-free machines nationwide. From machine learning to mobile banking apps, APIs and digital wallets, our community’s combined resources and collective intelligence continue to drive innovation. But as important as these advancements are, it is ultimately our “people helping people” mission that sets credit unions apart – that, and a culture of sharing that is very much in step with today’s consumer.